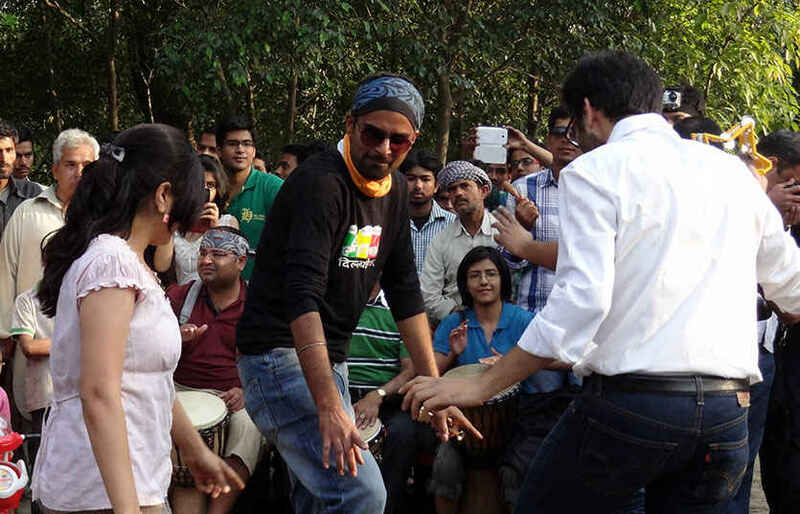 Here's What Happened When We Sat in on a Thrumming Session With The Delhi Drum Circle! As you walk into the Deer Park, near HKV you&apos;re welcomed by the beats that lead you to a group of people in a circle, engrossed in playing their respective instruments. Most of them carry a djembe (a western-African drum), some a dhol and other musical instruments can also be witnessed such as the saxophone, guitar, xylophone and flute, to name a few. They call themselves the Delhi Drum Circle, started by Mr. Rakesh Mathur a few years ago and ever since then, the trend has just caught fire! Even now, when the founder of the group isn’t around, one can still find the others playing at the same spot each week, creating an ethereal experience. Open to anyone and everyone, the &apos;circle&apos; accommodates people from all walks of life, irrespective of age. You&apos;ll find people ranging from the age of 7 upto the age of 60 here, simply enjoying the music! They usually start in the evenings around 5 and go on for an hour or so. People are welcome to bring their own instruments and play along. They begin by playing freestyle, improvising along the way. The place exudes a very different atmosphere which takes you to another world where everyone is simply enjoying the music and dancing to the beats. They announce their meetings on their Facebook page, so keep checking for updates! 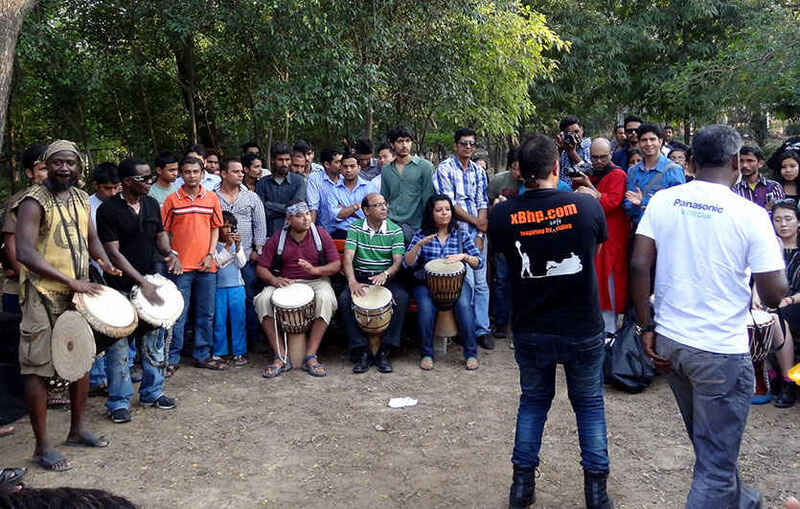 Ever since its inception, the Delhi Drum Circle has attracted many who frequent Hauz Khas Village and places in the vicinity. Many of them have become such a major part of the circle that it is now almost like a ritual for them. Every time you go there, you&apos;d come across familiar faces and a number of new faces, eager to join in the experience! From students, lawyers and doctors to photographers, poets and artists - you&apos;ll see them all. Though a majority of them are Indians, you can also spot some foreigners tapping their toes with the music. Some describe it as their passion, while for others it is a form of rejuvenation. “I work throughout the week, so this is like my stressbuster” said one of the frequent members of the Delhi Drum Circle. Don&apos;t forget to check their FB page for updates as they regularly host awesome events in and around the city!